I'm beginning to think that I should just rename this blog to She Almost Always Thinks About Bacon because I have yet another example to share with you. 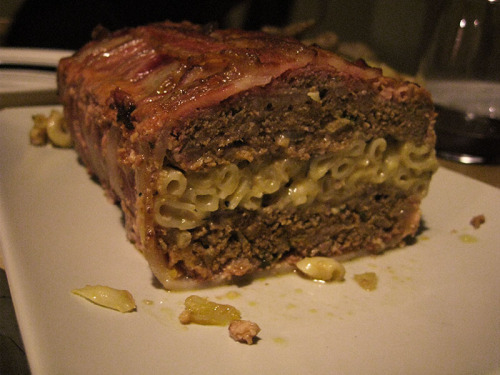 This one comes from the boys at work (surprise, surprise) - meatloaf stuffed with mac and cheese, surrounded by bacon. No recipe or explanation needed. I just wanted to share.